From the perspective of the Defence insurance company, answers to undertakings help the insurer complete the picture for their case. Sometimes (if not all too often) the undertakings can be burdensome, intrusive and exhaustive. But, if your lawyer undertakes to produce certain information or answer a certain question, then the undertaking needs to be fulfilled. If the undertaking is not fulfilled, then the lawyer for the Defendant insurance company can apply to a Judge by bringing a motion to compel answers to undertakings. If undertakings are not answered, a Judge may penalize the Plaintiff by ordering that they pay the Defendant’s legal costs, or even striking the claim against them. The second term we ought to examine are refusals. At a discovery, a lawyer can REFUSE to have their client answer a question because they fail to see the relevance of that question. They may also refuse to produce or to request a piece of information because they deem it to be irrelevant. These are called “refusals“. Lawyers often disagree in terms of what is a valid refusal, and what isn’t. When lawyers disagree about the refusals, one lawyer may bring an application to a Judge or Master to determine if the questions was rightly refused or not. What is relevant and what isn’t relevant is determined based on the pleadings. If you can relate the refused question back to the pleadings, then it’s likely that the Judge or Master will deem that question to be a good one (relevant). The opposing lawyer will then be ordered to have his client answer that question, or even re-attend at another examination for discovery to answer further questions based on that refusal. What is and isn’t relevant is often the largest bone of contention between lawyers at examinations for discovery. Lawyers who are having their clients examined believe that all questions asked are irrelevant. Lawyers who are the ones doing the questioning would have you believe that all of their questions are relevant. At the end of the day, it’s up to the Judge to decide should it get to an undertakings/refusals motion. The final legal answer to questions at Examinations for Discovery are called questions taken under advisement. A question taken under advisement is neither an undertaking nor is it a refusal at the time of the discovery. Although, following discovery, that question taken under advisement can become either an undertaking or a refusal. A question taken under advisement at discovery is like your lawyer saying an “I’ll think about it, and get back to you with my position“. The lawyer might get back to the other lawyer and provide an undertaking, or provide a refusal. (b) the party or other person indicates that the question will be considered or taken under advisement, but no answer is provided within 60 days after the response; or (c) the party or other person undertakes to answer the question, but no answer is provided within 60 days after the response. (2) If a party, or a person examined for discovery on behalf of or in place of a party, fails to answer a question as described in subrule (1), the party may not introduce at the trial the information that was not provided, except with leave of the trial judge. (3) The sanction provided by subrule (2) is in addition to the sanctions provided by rule 34.15 (sanctions for default in examination). (4) For greater certainty, nothing in these rules relieves a party or other person who undertakes to answer a question from the obligation to honour the undertaking. The examination for discovery is a BIG part of any car accident or personal injury case. But, just because the oral discovery is over, doesn’t mean that the work is done. There is a lot of work done behind the scenes which clients rarely see which needs to be completed through the undertaking and refusals process. Enough law talk? Sure. 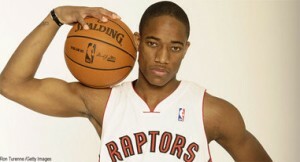 I have a tough time watching Toronto’s basketball team play without Demar DeRozan. They’re missing a big piece of the puzzle, and it really shows. They were able to fend off the opposition when Demar initially went down with injury. But the lack of talent on the floor is showing and causing them some games. But in the NBA, it’s not how you start. It’s how you finish and we haven’t even hit the All-Star break yet (#KyleLowryNBABallot).